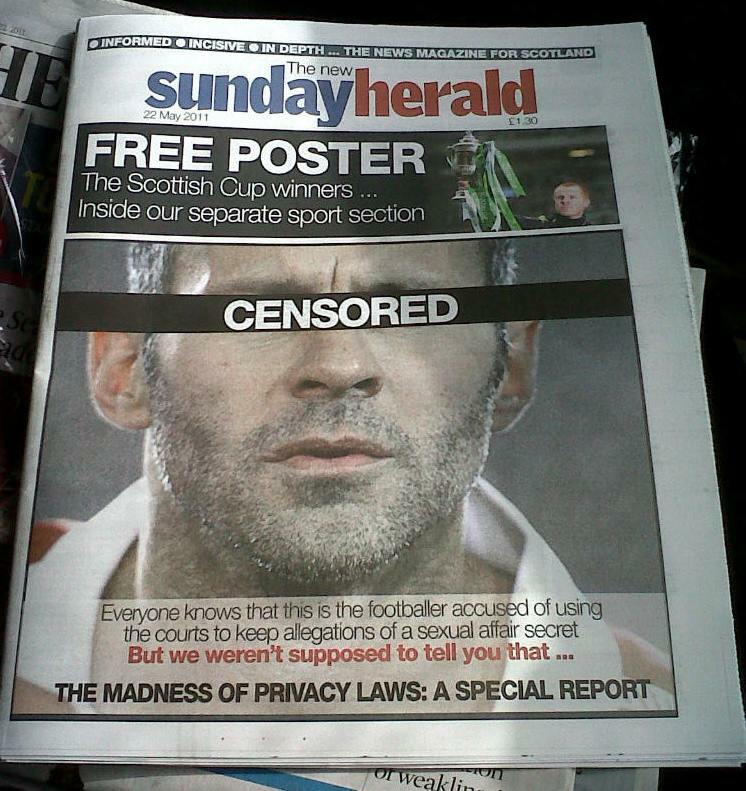 In light of this development (the naming of Ryan Giggs in Parliament and now widely in the mainstream media), here is yesterday’s front page from the Sunday Herald in Scotland. Despite claims the newspaper is not sold in England, it was available in England yesterday (for example on order by news desks at papers, TV stations etc) and many copies went to England. Photographs of this newspaper front page have been in circulation and widely viewed around the world for more than 24 hours. Wikipedia has been carrying a similar picture since yesterday.